The Henley pendant from Tech Lighting lures the eye with its uniquely imperfect metal spun shade. 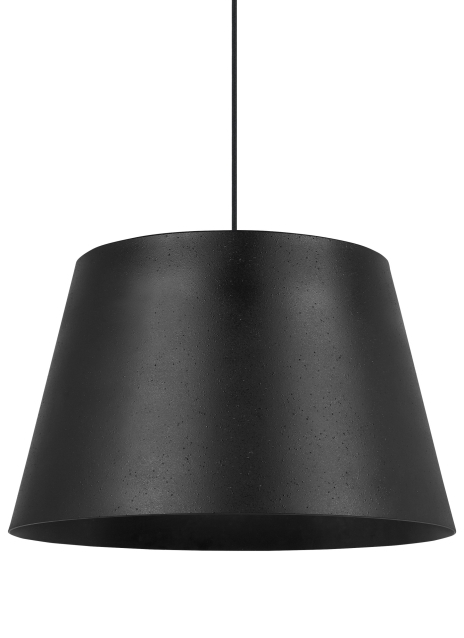 This contemporary pendant features a rough cast texture finish and neutral style making it perfect for commercial and residential applications alike. Scaling at 11” long and 18” wide the Henley pendant is ideal for home office lighting, dining room lighting and foyer lighting. Contemporary hardware finishes include textured black and textured white. Available lamping options include energy efficient LED or no-lamp, leaving you the option to light this fixture with your preferred lamping. Both incandescent and LED lamp options are fully dimmable to create the desired ambiance in your unique space. Rated for (1) 120 volt, 75 watt medium base E26 lamp with white globe diffuser (Lamp Not Included). LED version includes 120 volt 19 watt, 1680 delivered lumen, 2700K, medium base LED A21 lamp with white globe diffuser. Fixture provided with six feet of field-cuttable cloth cord. Dimmable with most LED compatible ELV and TRIAC dimmers.